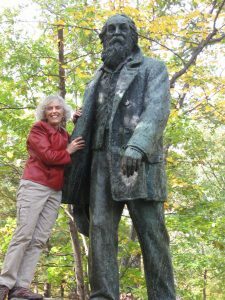 Jennie and Walt Whitman were both self-publishers! Tuesday, Jan. 21, 2014, 11:30 a.m.
Friday, Nov. 15, 8:30 p.m.
Gaia’s Garden, 1899 Mendocino Avenue, Santa Rosa). $10 at the door (includes ticket for terrific raffle prizes). Saturday, August 3, 2013 6:30-8:30 p.m.
Petaluma Poetry Walk. Sunday, September 16, 2012. It begins at noon. See complete schedule with poets, bios, locations. I’ll be appearing at Graffiti restaurant at 6 p.m.
On the radio: KOWS in Occidental. Friday, August 31. with Lolly Mesches. 9-11 a.m. Conversation and reading. More details to come. Reading, Q&A, Book signing, guest musicians: vocalist Bonnie Brooks and Santa Rosa Symphony members Karen Zimmerman (bass) and Jeanette Eisenberg (violin). Free admission…and… buy my book! Jennie’s Reading at 3 p.m.
Sonoma County location. Email for reservations and address.